Looking at a 5'7" overweight, middle aged Canadian guy you might not guess I have had a fifty year love affair with basketball. Even if you are not concerned about basketball, you might enjoy some of the adventures it led me on. Some people think I am just a contrarian and that I rebelled against hockey and looked for something different. Hockey was a big part of my youth and still retains some interest for me. School sports were an outlet for me as I had little involvement with organized sports. A Sunday school teacher, John Moffatt gave me my first taste of basketball. Years later his brother Peter was the presiding minister for my mother's funeral in another city. A lot of friends played basketball through the schools so it was a natural activity. Sports can build self-confidence, keep you physically fit, develop some social skills and keep you out of mischief All those factors benefited me to some extent. Over time you learn about yourself. Being only 5'7"" there was an obvious limit. However I was faster and quicker handed than most of my peers and developed timing so that my biggest thrills were blocking shots from many taller players and even more often stealing rebounds where positioning and timing were important. My quick hands could take the ball from many a cocky ball handler. My shortness probably contributed to a strong sense of balance that sometimes gave me an edge. I could generally get down the floor faster than most. My son was similar in playing soccer--he loved to score goals, but he also loved stopping other people from scoring so he was constantly running both ends of the field which eventually resulted being placed at mid fielder. As people are not conscious of being colour blind it was quite awhile before I recognized my own visual limitation. I was born cross eyed, but it didn't seem to affect my reading skills and felt pretty normal visually. After an operation at about age 7 other people commented that I looked better, but to be honest I don't remember much difference. In high school basketball practice it finally hit me I wasn't able to see a ball coming at me from the left side. A more basic problem was that one eye had become very dominant. Judging distance is normally handled by binocular vision, but I had relied reasonably well on size (smaller meant further away) and muscle memory. When it comes to shooting a basketball, or hitting a baseball binocular vision is critical. Another minor problem is that even for my height I had small hands which was first pointed out to me in music class. Hands allow control over basketballs. Ok, these are all just excuses. I had enough success at lower levels that I enjoyed playing basketball mindless hours every week and always thought I would become good enough to be noticed. Simcoe Hall in Oshawa was the scene of most of my sweating. In reality I was a small part of the grass roots that every sport requires to develop elite athletes. One of my jobs took me to Fort Erie and on impulse I decided to cross the bridge to watch a Buffalo Braves game just after a heavy snow storm. My first taste of the NBA live got me hooked. At first like a lot of people I was drawn by the opposition teams such as the Boston Celtics and Pistrol Pete Maravich. I started listening to the local Buffalo radio station to games and commentary. Stan Baron was very entertaining and I became interested in the Buffalo players. I watched a few games there, even dragging a few others to watch. Once went on a double date with my wife and another couple from work. I actually phoned up radio stations to push basketball coverage. I was told that really they just responded to what their listeners and readers wanted. I am sure many found me annoying pointing out that a least a few of their listeners did care. I was pretty self-righteous and naive, and finally spotted an opportunity when Harold Ballard went to jail allowing his son Bill to take over Maple Leaf Gardens. I wrote letters justifying the pursuit of an NBA team. There were a lot of other factors involved in the decision to bring the Buffalo Braves to play a few regular season games. I am sure there were some cash flow concerns at both ends of the decision. Bill Ballard had no hangups about basketball being a sissy game, just an opportunity. Ken Twigg called and offered me a chance to sell tickets. I included a newspaper carrier contest where I worked at the Oakville Journal Record and also hit upon a few acquaintances, both fans and non fans. I also paid for an ad (getting an employee discount) which was soon adopted by Maple Leaf Gardens. I had stolen the idea of a 24 second shoot em up. Canadians were so locked into hockey that they couldn't appreciate the athleticism and drama in basketball. The Toronto Maple Leafs had their moments, but I think their glory days were diminishing and I was struck by how upset some fans were. I don't think they understood that their intense love for the game and the team was why the management felt they didn't have to spend the money to procure a winning team. Hockey got overwhelming support (free advertising) from newspapers and other Canadian media Basketball needed some support to have a chance. I was especially struck with how ignorant Canadians were, but the biggest indignity was that most saw it as an "American" game. Most of the people I sold tickets to were NBA fans and chose games by their interest in the opponent. It took quite awhile before the Toronto fans developed loyalty to the Buffalo team after they recognized that the Braves included all stars like Bob McAdoo, Jim McMillian and Ernie Di Gregorio. My favourite was Randy Smith. A book seemed like a good idea. Nobody else seemed to be concerned about the basic problem of ignorance. This led to quite an education. The biggest part of my adventures with basketball lies ahead, but hopefully this has set the stage. I learned a lot from research, not sure much was accomplished, but as it was such a big part of my life it is one of those things I don't want to forget. A secondary justification for award shows is to honour and promote excellence. The primary purpose is to draw attention to whatever the awards are about with the ongoing goal of getting more business. They seem to be on the increase and I think one reason is that business people recognize them as a marketing tool (and incidentally encouraging higher standards). This post is to focus on entertainment shows, particularly movies. Warren Beatty, speaking at the Academy Awards several years ago brought this idea to my awareness. Warren expressed an awareness of the awards for promotion. Previously I had naively thought the Oscars were based mostly on merit. Artistic merit is very difficult to evaluate and humans being what they are let many factors enter into their thinking. How do you measure excellence in arts? In the Olympics, figure skating, synchronized swimming and gymnastics amongst others are criticized as there is too much judgment involved, but there is some transparency to the procedure. Often judgment leads to corruption. In fact the entertainment awards are heavily involved in politics with groups campaigning for their vehicle. and usually it is not transparent There is the critics vs the people. I suspect they actually influence one another, but do have separate criteria. Entertainment awards programs need to be entertaining. The Tony Awards honouring live performers are usually pretty good at this. Hosts are carefully selected hopefully with a sense of spontaneous humour, Celebrity is a key element with previous winners often giving out prizes to the new winners. Dance numbers and often trailers help fill in the gaps. Awards are broken down into components: best actor, supporting actor, director, writing original and adapted, and all sorts of technical skills. Some awards can be very boring for celebrity seekers, although the choice of presenters can help. There are a variety of awards and one I have heard about is for an ensemble cast which spreads credit around. Bob Hope once complained that a comic could never win best actor award. 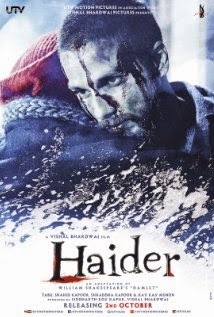 Bollywood likes to have awards not only for comic roles, but also for what they call negative roles (you know the people you love to hate). They also break down writing skills to include story, script and dialogue. Those good looking athletic dancers seldom are trusted to sing, so another award category is for backup singers. The right awards can keep the audience from throwing rotten tomatoes, but it is a delicate balance. Some awards are streamlined and edited on tape to move the show along further. Awards are such a good marketing tool, that they have been adopted by film festivals. There are usually a huge number of films shown to the audience, many of them not considered commercial, but if they win an award they gain acceptance with the general public. Of course another purpose of film festivals is bring financing to artistic endeavours. If a financier can tag an award onto their movie promotion they have confidence it might recover the expenses. Sometimes awards won at festivals and at lesser movie events lead up to winning the big Oscar. The Toronto International Film Festival brags they have foreshadowed some big winners. There is more to success than artistic merit and nowadays there are specialists who campaign for specific honours. Sometimes they are successful, but it is becoming very competitive. Some concentrate on the actual voters and others try to create a public swell. Often the public disdains critics because they seem to prefer artsy-fartsy movies instead of what excites them. I remember a sports fan co-worker who had seen "Rocky" and was offended that "Cabaret" won the Oscar for best picture. I suspect a lot of people vote not having seen all the candidates. Among critics there seems to be the feeling that if the masses love something there must be something primitive or superficial about it. At university I took a one semester course in "Aesthetics" where there is a struggle between the subjective and the objective. The professor said he felt there were objective standards and after all these years I agree with that sentiment, but admit that even with myself I am seldom sure what they are. Comparisons between actors in different roles seem unfair. To me a movie is the ultimate art form, but I recognize that there is a lot more than art that goes into the many decisions to make a movie. Maybe there should be an award for the crew that can turn out the most enjoyable film on the least amount of money. Of course this could be done by catering to the lowest common denominator, but in other cases it is to be commended. How could an award such as the Academy Awards have more credibility? Some film festivals such as at Cannes use juries of prominent people. We do not necessarily learn of the reasoning process, but at least we know who to blame or credit with the decision. The Olympics do provide a model where judges selected for their experience and training post numbers after a performance and a mathematical process determines rankings. There are charges of corruption, collusion and incompetence, but at least we can point to the guilty culprits. Attempts to control prejudice and bias such as throwing out the high and low numbers have merit. It does boil down to opinion, but theoretically an informed, and relatively neutral consensus. They would of course be required to view all the films they are passing judgment on. We also end up with a ranking that in many cases credits those who didn't quite rise to the top. Nominations are effective marketing tools, but possibly people would respond to a second or third place ranking in a little more positive manner. 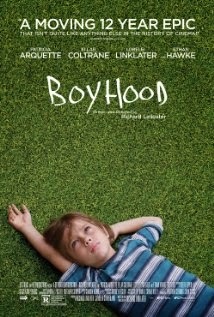 The poster from "Boyhood" was one of the nominated films I have seen and enjoyed. But I haven't seen them all and instead of being disappointed if some other film wins the prize, hopefully will help determine my future choices. How about you? Are you affected by the awards? It seems when there is a problem many solutions may be offered, but usually the short term thinking wins. A problem that is becoming front page news is that there is violence in the Middle East (not really news), and that American, Canadian and European youth are joining in--on the wrong side. Bombs are being dropped. All kinds of surveillance has been added and beefed up measures to deal with the problem. The root causes are being lost in the turmoil. Always a key factor to understand any problem is Why. People with loud voices are advocating boots on the ground and boosting our law enforcement. At this stage actions like these might be unavoidable, but unless we wish to live forever in a vicious circle we need to look at root causes. President Obama has written and spoken out on trying to deal with some of the root causes. Why are youth so disaffected, why are they so gullible? Recognizing the problem we can try to counter it perhaps with education, but some of the prime targets are not easily accessible through schools. I believe there are more deep causes that also are behind other ailments of modern society. In the West, especially in the United States inequality is reaching new heights. Many if not most Americans still believe their society is the best place to move up in the world if you are willing to work hard and are a bit smart. All too many Americans feel otherwise. Compounding this problem is that there is still prejudice that makes it more difficult to make progress. The obvious villains are race, ethnicity, gender, sexual orientation and religion. But there is another division, between the haves and the have nots. Those established are concerned they might lose their privileged position and are adding barriers to those they feel are lazy, and undeserving of sharing the profits of society. At both ends of the classes human are not that much different. It is true that at one end some people try to take advantage of the welfare opportunities, or slack off work or look for an easy way to make money. At the other end many spend their time evaluating investment opportunities and tax strategies to maximize their take. And others can cook the system from the top. Essentially we all want to make as much money for as little work as possible and that has been very important for the advancement of civilization. Some of us are smarter and can see opportunities while others are not so smart and seem unable to find suitable opportunities. Inevitably inequality leads to resentment and sometimes dramatically another French Revolution could result. Today some disaffected people have adopted extremist violent associations. Other times society has been able to make other arrangements and most people of all classes benefit--Franklin Roosevelt played a role in one such change. Often the result is a series of individual decisions that affect us all. What talents are ignored? What efforts are not acknowledged. President Obama stated that one of the strengths of America has been its tolerance. Many people have been attracted to America not just for a chance to be a millionaire, but by a chance to practice their religion in peace. Some of my ancestors fit that category. Perhaps tolerance is not quite as good as it once was, but recognizing it as a positive could help restore common sense. In today's world, as ever, the future belongs to the youth. Today around the globe the youth are the most underemployed and suffer all sorts of insults to their hopes. Many (with the help of their parents) go into numbing debt trying to get the right education to pull themselves out of the mess. Education is critical not only to fit oneself for a job, but also to better understand the world. Many of the global problems can be traced to ignorance. We think we are the centre of the world and are unconscious of our own negative impact on the rest of the world. We fail to realize how we are all connected and often work counter to our long term best interests. We don't trust others that look or talk differently and also those that think differently. All this suits some entrenched people with power. They resent the masses, but also fear them. They profit by exploiting the poor and ignorant. There are enlightened people out there (I think Barrack Obama is one of them), but they are easily drowned by the shouts of the powerful and the ignorant. Corruption is both a cause and an effect of inequality. It is a tool that lets some exploit their position and others obtain power unethically. Many suffer not only their economic status, but also their faith in mankind. Unfortunately we like to point to poorer countries and overlook our own corruption while many accept foreign corruption as a business tool. The west has serious problems in the Middle East, but most of it can be traced to decisions previously made. We affected borders in our interests, we supported dictators who steered resources towards us. The United States and Canada have both taken the side of Israel against the people who were living on that land. We can't understand why this is so strongly resisted. Fear and greed enter into our decisions both in the past and currently. Invading Iraq unleashed a lot of resentments that had been brutally capped and that we in the West did not understand although we had played a role in setting it up. Tolerance is needed everywhere. Man is very arrogant when they feel they are right and everyone else is wrong. Although it would be very difficult to bend many people, education and setting an example are key elements. We are all wrong to some degree and can all see a little more light if we look for it. If you made it this far, thank you for letting me rant. I am not sure any good comes of it, except it makes me feel better. The Photo is of a Memorial for the 9/11 disaster in New York City. Maybe you are like me, but you would have to be over 50 to really understand. Technologically I am still trying to catch up with the younger masses. At the moment I have rediscovered iTunes and already understand there are improved alternatives. I am once again comfortable with listening to and sorting out my favourite music, but hope not too many more adjustments will be necessary. As a pre teenager, there was the hit parade and rock n roll and when money was available I would buy a few popular 45's and even a few that were off the beaten track (always been a bit contrarian). The next move was to buy albums and soon learned there were two types with hi-fidelity giving way to stereo but you had to have a different type of needle on your record player. Fortunately my father did, so when he wasn't around I could play my stereo albums. At one stage a few of us would bus or hitch-hike from Oshawa to Toronto to check out Sam the Record Man as well as A and A Records to get the best selection. Felt pretty sophisticated with our purchases and learning our way around the big stores. By university I discovered reel to reel tapes which seemed more mature and did what I could to transfer some of my favourite music to this new format where you could select and mix up different combinations to fit some sort of theme or to set a variety to relieve boredom or create a mood. In between were 8 track tapes, but somehow this stage was skipped as I was too committed to other modes of listening. In any case not practical to transfer existing music. Some of you may have been caught here, like my truck driving father. The next move was to get into cassettes and that allowed me to transfer old music, but at first I needed to persuade friends to help me out. Then it became commonplace and you could mix up favourites without difficulty. Then we shifted to compact disks or CDs and again it was possible to transfer some music, although at first they made it difficult. I had two cars that had both cassette players and CD, but newer cars only CD players. Both formats were more compact than records and more portable than the almost forgotten reel to reel tape player. Some millennials apparently feel that the old fashioned phonographs with the right speakers had a better quality sound. My ear probably would not fully appreciate the difference. I actually have a cheap record player and occasionally use it for some really old records, (some of which were inherited) but not too often. Nostalgia is very natural. We all have fond memories of music associated with our youth that make us smile and maybe want to dance. On some occasions the old music induces feelings similar to when looking at old photos--did I really look that immature? At the same time I keep discovering new music. Now my second crack at iTunes. I am gradually appreciating some of the finer points. My new Mac Air does not have a disc drive, but with a little effort I learned about optical drivers and have been able to transfer many of my CD bits of music. My budget doesn't allow great expenditures with iTunes so I am wrestling with buying albums that sometimes are a cheaper way of getting a bunch of old favourites cost effectively or finding lost gems to buy individually. I love the shuffle system and breaking down to genres, artists, ratings etc This time although I have lost even the memory of some music that I once loved dearly I am also finding too much of a good thing gathered over a lifetime can be tiring. There is a new therapy that is based on the idea that people can stir up old memories and become more mentally functional by listening to music that had once been important to them. One of my fears is forgetting the good things (not so worried about the other stuff). Music is one of the great pleasures in life, but is unique for everyone. My tastes would be described as weird by many, but what sounds like screeching cats in mating season can sound like a pleasant purr to others. As a youngster I watched a lot of Hollywood and Broadway musicals on tv and became fascinated. Later through flukey circumstances I came to appreciate opera (see http://www.therealjohndavidson.com/2011/06/why-i-love-opera-wayne-gretzky.html and then through another set of incomprehensible events I grew to love Bollywood movies (and music). http://www.therealjohndavidson.com/2012/12/bollywood-music-can-grow-on-you.html What ties those interests together is the theatrical nature of them--they are all part of telling a story--sometimes very happy, other times very sad and still others stir different emotions. At another time in my life I wanted to understand Italian for a family tree project and thought musical entertainment would make it easier. Never did master the language, but loved a lot of the music (including pop, traditional and opera). My sales career took me through Quebec and I developed a love of Quebecois and French music. A little further down the road I also enjoyed music from the Maritimes such as Natalie McMaster. Listened to Shania Twain traveling through northern Ontario. From those experiences I realized music is music and although the words are important it doesn't really matter where it comes from. I listen to Latin American music and am especially fond of Brazilian. 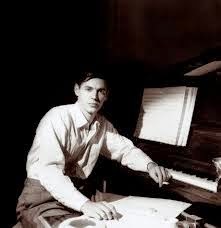 My father would not be considered very sophisticated, but he played the Hammond organ and listened to big band music which is reflected in my tastes. I lived through various waves of popular music and some hit me the right way. Fiddling around on an old radio dial I stumbled on a Rochester (NY) radio station and they were boosting a local boy, Chuck Mangione who had very little national recognition, but I was fascinated, felt like I had discovered something nobody else had. Some years later he performed with the Hamilton Philharmonic and that really cemented my attraction. Big band, a sort of jazzy original. A conversation I once had with an old friend (and current insurance agent) Shawn Hagerman explained that some music is enjoyed most when you are drunk. 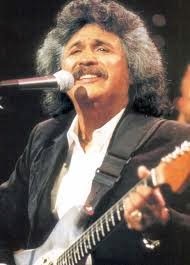 Freddy Fender was one we both independently discovered and agreed best enjoyed after a few drinks. Another might be Stompin Tom Connors or Don Ho. For a short time in high school I played the bassoon by choice. I only lasted one year as I broke it and decided to take typing instead. I can spot a bassoon in lots of orchestra arrangements and like to include the sound in my collection. Mozart did it best so far. By no means have I exhausted my musical likes, but what I have listed tends to crowd out the more traditional popular North American mix which is still of interest and get my feet hopping..
With every step there has been a gain in convenience or satisfaction, but there has also been a loss. It seems natural to want to have a library of music so it can all be handy, but sometimes your library can really get clogged up. Although I have a lifetime of collecting music some discrimination helps me enjoy it more. What you choose to leave behind, gives you more time for what is left. The future could be one of more leisure, and music will play a big role--diverse interests make life better. How about you? Have you had to repackage your musical preferences with new technologies? Have your tastes expanded? Naomi Klein has earned a reputation for tilting her lance at the establishment. She attracts a lot of sympathy for her stands, although other people think she is naive. Mostly the average person is unconcerned about her issues. Bad mistake as she in my opinion is pretty good at pinpointing problems we all need to be concerned about. Inequality, climate change, pollution, too much corporate power. In "This Changes Everything" she sees climate change as an opportunity to change the establishment as well as a serious crisis demanding a global co-operative effort. She discovers that some conservatives are more concerned about the threat to their idea of a free market. They want no regulations or be forced to share their profits. Some also feel insulated from the bad effects of climate change and others feel they can adjust. They are right to fear that forces that want to protect the environment are dangerous to the status quo. Naomi sees that wealth (and power) will have to be redistributed to solve the problems that affect all humanity. One concern she has is to somehow deal with campaign finance laws that allow the wealthy to promote their interests at the expense of everyone else. The need to harmonize with natural forces is given credence with a wide variety of examples of how vested interests have abused their power to maximize their wealth. Technology in extracting energy and other natural resources may seem innovative, but to Naomi they seem like desperation from fossil fuel addicts. The Green movement has been infiltrated by fossil fuel interests. She gives examples of Richard Branson, Warren Buffet, Bill Gates, and T Boone Pickens who have all used environmental rhetoric, but have according to Naomi perverted the claims. They are interested in looking for replacements, but not in root causes. Geo engineering is favored by many who do not want to change their life style. Some have used volcanic activity as proof how we can cool down the earth, however Naomi points out they overlook the bad effects of the same volcanic activity. Other schemes share a great risk of the unknown repercussions. Time is changing. Many of the older generation feel buying green and changing a few habits are all they can do. Young people are more activist and do not rely on buying eco friendly products or donating to green causes as they get right out and protest specific projects. They are being joined by others who are finding that as extraction and transportation projects spread they impinge on their life style and more importantly their health. Indigenous groups, most of whom are a lot more attuned to nature have had their legal rights recognized. White middle class environmentalists are realizing that combating entrenched corporations requires not just money, but legalities. Aboriginal people are often trapped in their poverty and feel inadequate to use their full legal rights to protect their land. Alliances are developing, but there are counter pressures. "The Shock Doctrine" an earlier book which I bought tells how political ideologues impose their ideas on the masses when a catastrophe occurs. Naomi is suggesting these opportunities can also allow changes from the grass roots up instead of the top down. Social movements have been more successful in human rights than addressing economic issues, but there is hope (in need of organizing). Slavery was abolished in Britain, but one of the prices was reparations to the slave owners. During the writing of this book Naomi made a concentrated effort to become pregnant and finally succeeded to her goal of motherhood. Along the way her awareness sharpened with regard to fertility. Species do not necessarily become extinct because of killing, but often because of issues of fertility. Researching the Gulf Oil Spill she realized the greatest damage was not to mature animals, but those at the embryonic stage. Her research uncovered many connections between chemical pollution and infertility, birth defects and miscarriages. The problem will not be solved by those at the top who have vested interests in the status quo, but can only be the result of resistance from the bottom. Those whose wealth depends upon not finding a solution will have to be dealt with and they will not co-operate unless under great pressure. A lot of angles are covered in "This Changes Everything" and it also attempts to explain the counter arguments which in all fairness are losing their credibility. This book sums up the most serious concerns of our time very well--everyone should read it. The weather is weird, has been weird for a few years. Part of this winter has seemed more like spring. Some fairly heavy snow then all melted twice. Now however it looks like a snow day, meaning I am not expected to risk my life to get into work. A previous blog recounted what it has been like to live on a corner for a Canadian winter. You can read more at http://www.therealjohndavidson.com/2013/12/living-on-corner-during-canadian-winter.html One detail not mentioned was that because I am already out there I often shovel an extra few yards to cover my neighbours on both sides. I have already done three or four times as much as their sidewalk frontage so it is hardly noticeable. This does not go unappreciated. The neighbours work different hours and of course snow doesn't follow a schedule. When I am at work or sleeping a neighbour is apt to be out and recognizing I am not able to do my share, so they do. Neighbors on either side of me have been known to shovel my sidewalk on their side. Some days there is not much left for me. One neighbour went out of her way to thank me for doing her little bit of a sidewalk (she was out finishing off the sidewalk to the house). Her husband was out of town and she had a sore back. This morning the snow continued and her husband was out but the truth is he has helped shovel our sidewalk lots of times when I have been at work. Out shovelling to day I learned he had just got back from Belo Horizonte, Brazil where it was 90 degrees F.
Shovelling is important for all your neighbours. Getting to work, to school, for shopping, shovelled sidewalks make it a lot easier. Taking care of cars. I park on the road. Not only do you fight the snowfall itself you also fight the snow ploughs. A lot of pushing and shovelling to get everyone off to work. Some days work is closed and neighbours are out tidying up the mess. NEW EDIT: First I again apologize for putting up an incorrect link on Facebook. I lay down to rest after my last blog, but got woken up as a neighbour wanting to borrow my snowblower. This requires a confession, particularly to George and Shirley Harrison, wonderful neighbours who moved to a place where shovelling and snow blowing is not a requirement. George gave me his snow blower (he lived on another corner house across from ours). I never really used it and now I appreciate it was just a little harder to start as I could only store it outdoors. One of our neighbours, Elder who works as a landscaper (only moved from the Azores 4 years ago) was mechanically inclined and got it to work in the summer. His job in Toronto was snowed out today, so he wanted to do something with his time. He plowed our sidewalk and quite a few of the neighbours. He does have a protected place to store it and so I thought it made more sense to let him keep it. We will help supply gas. We found a happy home for the snow blower. You might wonder why there is a photo of flowers on a snow story. These flowers got my attention last summer. They are of a neighbour. The snow helps provide moisture that flowers need.